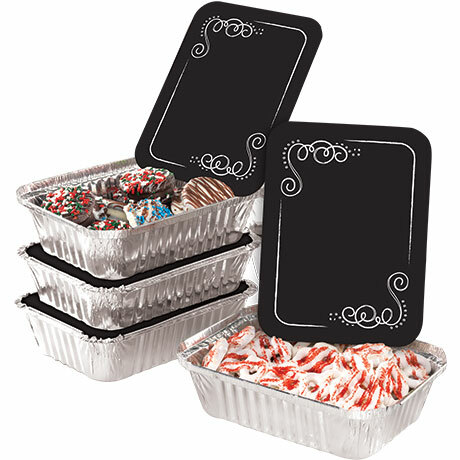 The perfect gift container for your holiday home baked goods! Features a chalk lid adorned with decorative frame design. Set of 12 pans and lids. Each pan measures 7 3/4" x 5" and is 2" deep. Chalk not included.